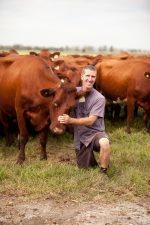 Last year, Lion and Landcare Australia awarded grants to 10 dairy farmers to help improve sustainability on their farms. Close to $100,000 in funding helped these farmers implement initiatives including increased use of solar power, installation of energy saving equipment, recycling of wastewater and revegetation projects. The results across the board from the program have been impressive, with farmers already noticing a range of benefits, including a reduction in energy bills, improvements in the efficiency of their operations, lower emissions, and reduced labour and maintenance costs. “We are really proud to be partnering with Landcare to offer our farmers the tools and resources to address some of the ongoing environmental challenges in the dairy industry. The Lion Dairy Pride Landcare Grants Program attracted some fantastic entries last year and a number of successful projects were funded. “I am delighted that through our partnership with Lion, we continue to be able to support projects that make a tangible difference to the sustainability of farm businesses in Australia. We’re well aware of the increasing challenges that farmers face and welcome any opportunity to help them balance their production requirements with the need to farm sustainability,” he said. One popular initiative across a number of grant recipients was the installation of heat recovery systems, which reuse heat from milk cooling systems to heat water for cleaning and sterilising. Variable speed drives were also deemed successful when it came to reducing energy use as they adjust speed and power consumption to meet the varying demands of milking. As well as energy-saving benefits, the drives are said to make dairy sheds much quieter and calmer places to work, as well as reducing maintenance and oil costs.